At the Silver Spring Civic Center. 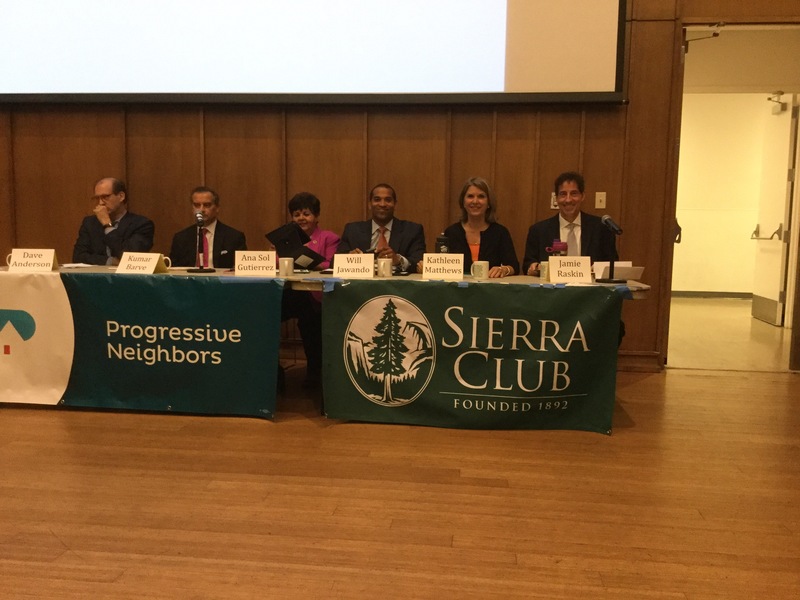 All Dem CD8 candidates are here, and we’re about to begin. I have a front row seat center, as you can see. 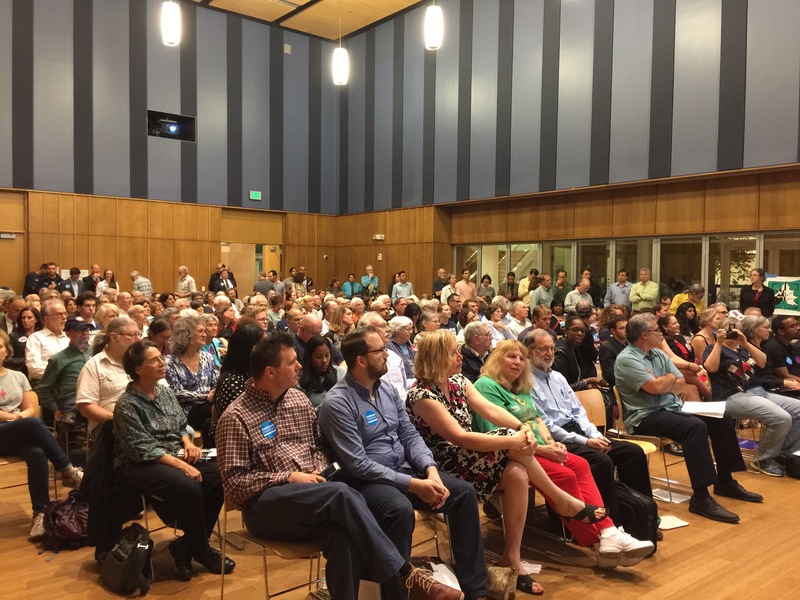 UPDATE: there’s a standing room only crowd tonight. Wow. No stress. Be cool. It’s all under control. Breathe. Again. It’s totally fine. No, it’s not. It’s totally falling apart. Oh. My. God. This song is for you. It really will be fine. In 209 days, anyway. We interrupt your musical afternoon – I’ll have some more later – to bring you some actual news. I went to visit my friend Delegate Joseline Pena-Melnyk this afternoon. Well, there’s a little more than that. I decided I needed some barbecue, specifically brisket, there’s a Red, Hot & Blue in Laurel, and it’s down the street from Joseline’s office. Me being hungry is still not the news, but I’m going to do this my way, so hold yer horses there, mister. So I paid her a visit, we had a nice chat, and that’s when I got the actual news: like Kathleen Matthews, Joseline Pena-Melnyk has received financial support from New York Senator Kirsten Gillibrand’s PAC, Off the Sidelines. Well done! 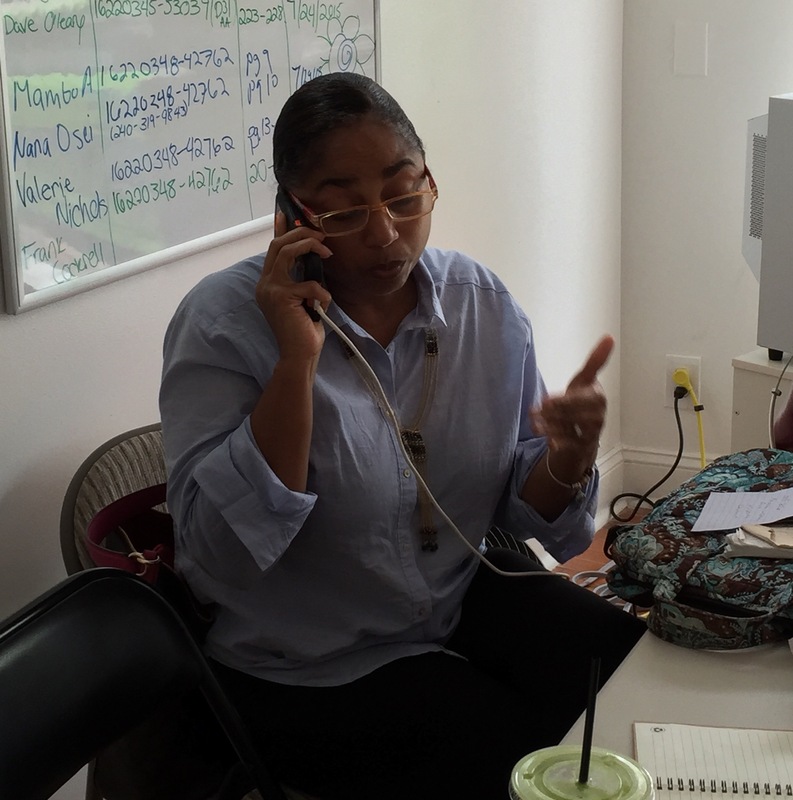 Joseline was busy doing what all good candidates are doing today: talking on the phone. Don’t believe me? I have actual proof. Not only that, but it turns out she was talking to Good Friend of the Blog (GFOB) Dana Beyer. Small world, huh? 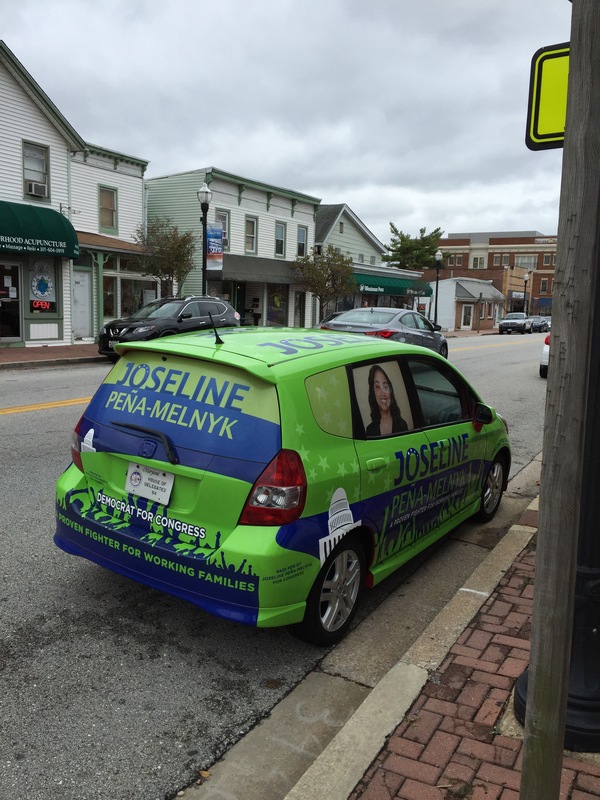 Not only that, but she has the coolest car in all of Maryland politics right now. Again, I have proof. That’s a cool car. I want me one of those. More music soon. Plus the CD8 Environmental Forum/Debate is tonight too. I’ll have video of that too. One of these days I’ll even set up Periscope and do it live. But I don’t think tonight will be that night. You’re only going to get away with this fundraising approach one time – if that. But it’s a great song. On Facebook, the question was raised “what’s the end of the quarter theme song?” So I throw it out to you, dear readers, for nominations. Anonymous suggestions welcome. I’ll post some of thr best throughout the day. I’m starting with the one I immediately thought of. The close of the third quarter for campaign finance reporting is tonight at midnight. So if you’re planning on helping out your favorite House or Senate candidate in Maryland, today would be a very good day to do it. Much, much better than, say, tomorrow. This reporting period will be crucial – it’s the last one before the end of the year. A good report this quarter will carry a campaign through the holidays and into 2016. A bad one – well, we don’t really want to even contemplate the possibility, right? Candidates – you’re welcome. 10% commissions on today’s donations seem appropriate, hmmm?